The smaller the buh bubbles, the better the buh beer. The smaller the buh bubbles, the better the buh beer. The smaller the buh bubbles, the better the buh beer. This Saturday and Sunday, Califia Farms Almondmilk is just $1.99 with our Secret Special coupon. 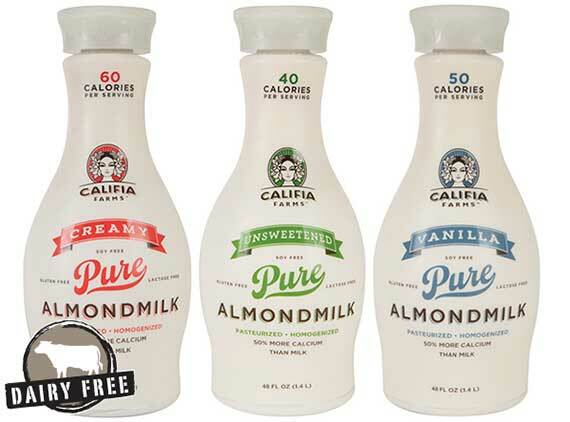 Califia Farms Almondmilk tastes better for a reason! It is made using raw, blanched almonds that are ground into a fine meal for a cleaner flavor and better nutrition profile. Non-GMO Project Verified, it is ideal for drinking, cooking, baking and steaming in coffee. Join us as we honor Sacramento Valley’s wonderful brews and our rich beer culture! During Sacramento Beer Week, February 27 through March 9, we’re celebrating with beer tastings at select locations along with special savings on some of our favorite brews. There may not be gold left in the hills, but this brewery has been a treasure of a find for us. This is the local beer that consistently beats out Pliny the Elder in blind taste tests. Elevation 6225 Pale Ale from Out of Bound’s Brewing in Rocklin is the newest local beer to hit our shelves. 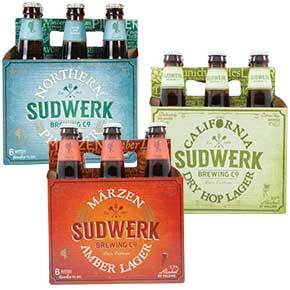 Made locally in the Curtis Park neighborhood of Sacramento and on track to become our top selling single bottle IPA. Sacramento’s original craft brewer and multi Great American Beer Festival medal winner. New ownership and brewing recipes have these Davis beers tasting better than ever. Just try and find a better combo! 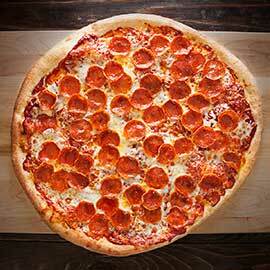 Our quick, simple crust recipe is perfect for any beer-loving pizza-holic! 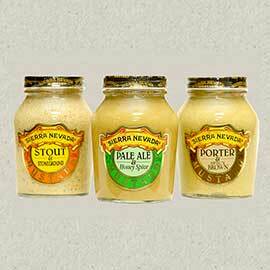 …in the conservatory with three new varieties of mustards from Sierra Nevada brewing Co.! Made with all-natural ingredients and Sierra Nevada’s award-winning ales, these savory mustards are available in Pale Ale & Honey Spice, Stout & Stoneground, and Porter & Spicy Brown varieties. Our Fresh to Market Angus Beef Beer Sirloin Roast is marinated in bratwurst seasoning, mixed peppercorns and Anchor Steam beer. 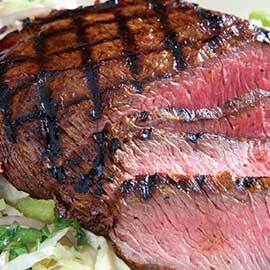 Absolutely one of our guests’ favorites from our meat department! Founded in 1865, Marin French Cheese Company is the oldest continuously operating creamery in the US. Their Triple Crème Brie is dense, creamy and exceptionally buttery. 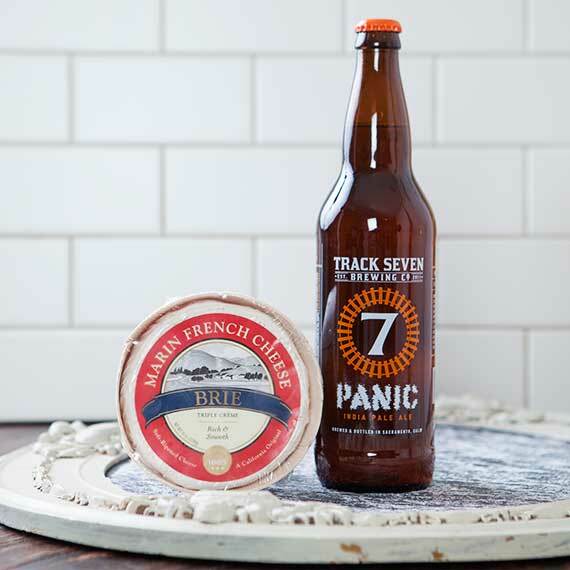 When you combine the butteriness of the brie with the hoppiness of Track 7 IPA they create a tertiary subtle nutty flavor. Also, the rich, mouth–coating nature of the brie is cut perfectly by the carbonation in the beer so that every bite leaves you wanting more. Here’s to beer! In honor of Sacramento Beer Week, we are hosting beer tastings from some of our favorite local and not so local breweries. Stop by one of our stores from 5 p.m. – 7 p.m. and try something new. Tastings are $3/ flight. Finish off Sacramento Beer Week with us as we host more beer tastings from some of our favorite local and not so local breweries. Tastings are $3/ flight. Prices valid February 26 - March 4, 2014.